During today’s Nintendo Direct, the publisher announced a total of eight Final Fantasy games that will be released on Nintendo Switch, as well as other platforms. 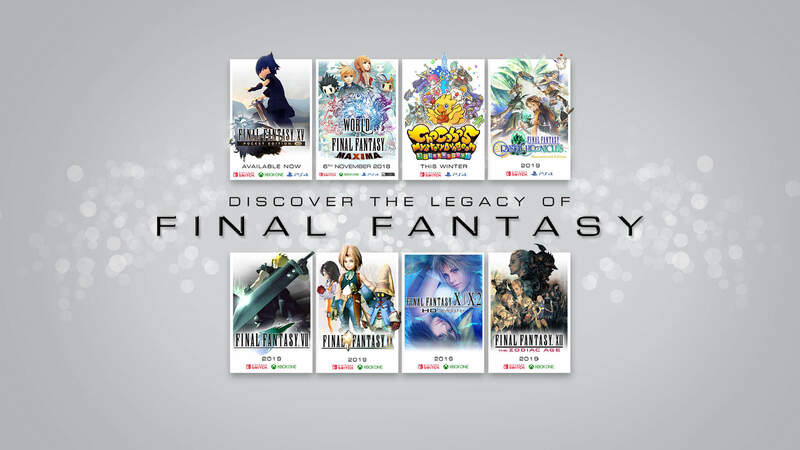 Over the course of the next year, the Switch, along with Xbox One and PS4, will be seeing Final Fantasy XV: Pocket Edition HD released today on Switch; World of Final Fantasy Maxima on November 6 for Switch, Xbox One, PS4 and PC; Chocobo’s Mystery Dungeon EVERY BUDDY! this winter on Switch and PS4; Final Fantasy Crystal Chronicles Remastered Edition on Switch and PS4 in 2019; and Final Fantasy VII, Final Fantasy IX, Final Fantasy X | X-2 HD Remaster, and Final Fantasy XII: The Zodiac Age, all releasing in 2019 on Switch and Xbox One. The ports of the numbered games appear to just be ports of the most recent versions on PC, with Final Fantasy XV: Pocket Edition HD the same as the version that launched on PS4 and Xbox One earlier this week. Crystal Chronicles Remastered Edition includes online multiplayer, along with new areas to explore within existing dungeons. World of Final Fantasy Maxima is a new version of the PS4, Vita and PC game, with some new features including Avatar Change, allowing you to actually play as the Champions from previous games whom could previously only be summoned during combat. The new version also adds new Mirages and Champions to encounter and recruit throughout the game. Chocobo’s Mystery Dungeon EVERY BUDDY! is a new version of the original 2007 game, with 2-player co-op, the ability to befriend all monsters, and remastered for newer systems. All information on the upcoming games can be found on Square Enix’s official site.